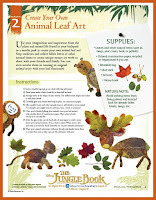 Have you ever read Rudyard Kipling's Jungle Book? I loved the stories in this classic when I was kid, so I was pretty happy when I learned Disney was making a new film that combined twenty-first-century technology with live action. Then I learned of the amazing cast -- Bill Murray, Lupita Nyong'o, Idris Elba, Ben Kingsley, Christopher Walken, and Scarlett Johansson -- and I knew the movie was going on my must-see list. 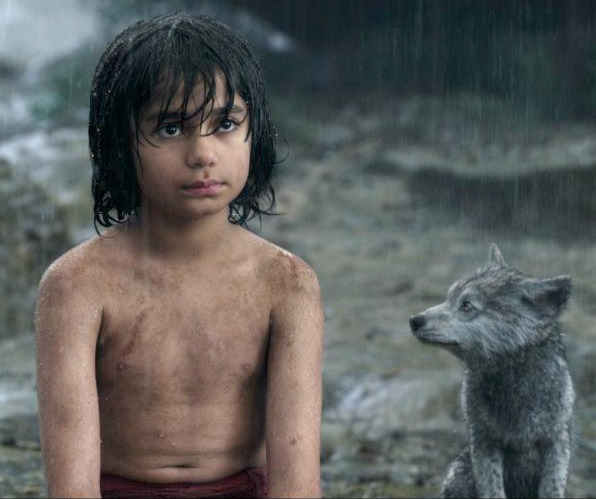 Plus I was curious how young Neel Sethi was going to be as Mowgli. If you missed the movie in the theater, put your worries aside. 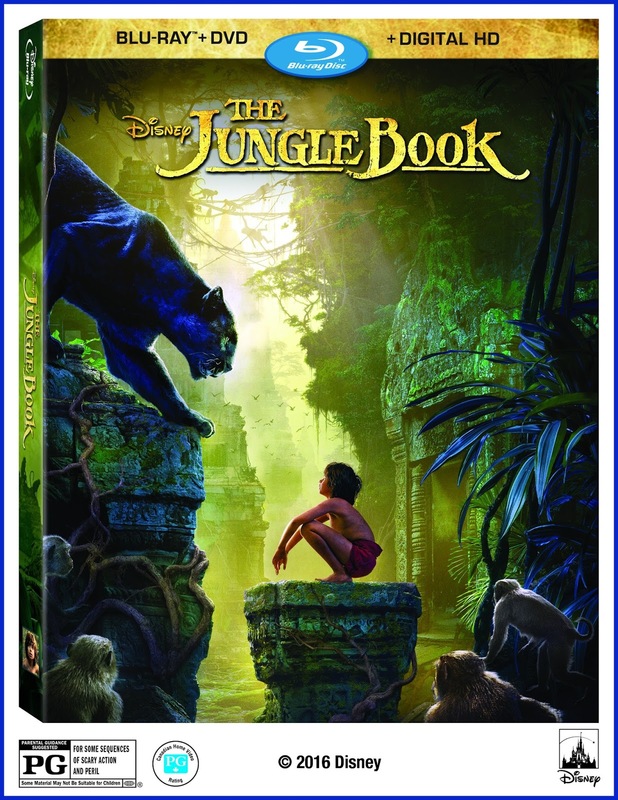 The Jungle Book was released in Blu-ray, DVD, and digital download just this week. I got a chance to view it and loved everything about this new Disney adaptation. First, the movie itself is beautiful to look at and the acting, especially Sethi, was close to perfect. I even liked the idea that sitting below the exciting action, good humor, and spot-on level of scary, there are some great lessons about friendship and family and about the environment and humankind's effect on the natural world. The extras include a a short film about how The Jungle Book was made, a cool look at Sethi's journey from regular kid to Disney movie star, and in-depth exploration of one of the most complex, exciting scenes. By the way, don't assume that The Jungle Book is just for kids. Put aside your preconceived ideas and give the movie a chance. My husband and I both really liked it and plan to watch a few more times. Disney, of course, doesn't forget the youngsters, and in true Disney fashion, there are a lot of extras tied into The Jungle Book movie. If you visit the official website you'll find activity guides (like the one shown here; click to enlarge), animal fact sheets, and guides for teachers or home-schoolers. 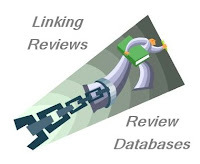 There are also a number of film clips and some background information. Take a look at the official trailer. That's Walken playing the gigantic orangutan and Murray as the bear. The trailer gives you a good sense of the beauty of The Jungle Book as well as the action and jokes. GIVEAWAY: Now for the part you've been waiting for! 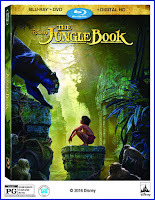 Thanks to Disney Home Entertainment, I'm able to offer one of my readers (with a USA mailing address) a copy of the Blu-ray/DVD/Digital editions of The Jungle Book, so she (or he) can watch the movie and all the extras on whatever device she wants. All you have to do to be entered for a chance to win is to fill out the following form. 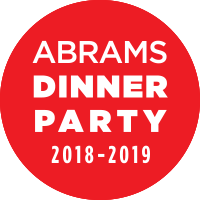 I'll pick a winner using a random number generator on September 8. Once the winner has been confirmed and the mailing information has been sent to the studio, all personal information will be deleted from my computer. Good luck! I'm looking forward to seeing this ! I haven't read the book but I did see the animated movie. I missed this one at the theater. Thanks for the giveaway! Thanks for the giveaway! we've seen the animated version but not the live action film yet! The greatgrands will love this. Me, too! I've never read the book or seen the movie. I had hoped to take my daughter to see The Jungle Book when it was in the theater, but it wasn't meant to be. I hope to see this one now that it's out. I never have read the book. Maybe one of these days. This one looks fantastic and I wanted to see it in the theater but didn't get to it. I'm going to watch it on Amazon and if I like I'll get the blu-ray. It just looks really well done. I've never read the actual book but I've always been intrigued by the story. And I just love all the promo art I've seen. We really liked this movie a lot but found the celebrity voices a little distracting - hard to separate the person from the character. I'm looking forward to this movie! My granddaughter will love it too. I absolutely loved the original movie and was sad that I missed it in the theatre. Thanks for the giveaway! I have heard such great things about this movie, I must see it.